Initially I wasn't planning another I Do, I Do post so soon - but so much happened and I saw this lovely theme of hands, that I couldn't help myself. Before we get to the hand theme: Why is it such a big deal in world culture when an older woman dates a younger man? There were some really great moments in these two episodes and we had some great plot development, though I am sure there will be plenty of angst and drama before we get to the end. We had some nice moments with the doc, but I still don't like him. I think one of the things I like least is that he is pushing himself on her - and he's doing it in the most unprofessional manner possible. I mean really, can he not see all sorts of issues being her doctor? I did like the moment where he went to the nursery to look at the babies though - it had a nice feel to it. I think when it comes to the doc and Tae Kang we see how they are really different. Tae Kang takes the more unorthodox route of liking her even though he thinks she's pregnant with another man's baby. He even checks with dad (with not such great results) to see if that would be okay with him. 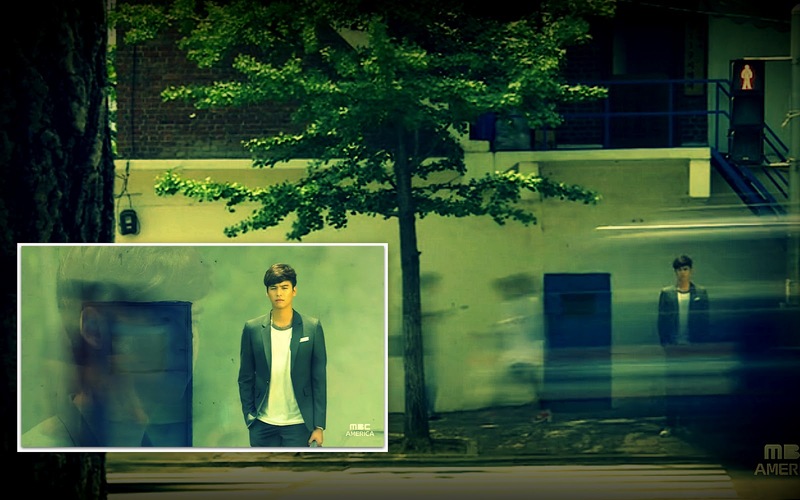 Tae Kang likes her, maybe even is starting to love her, but he certainly cares for, but he's not pushy about it. I just love that. Speaking of dad. We had some really cute moments with them wrestling, and I just loved that scene where Choong Baek and dad are spying on Tae Kang and Na Ri eating together. It was just funny, and cute, and adorable. 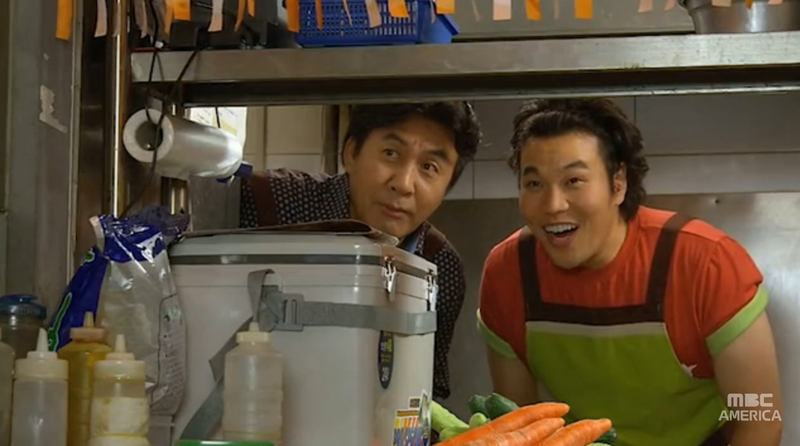 The scenes with Tae Kang and his dad are always so nicely contrasted with those of Ji An and her parents. There is always so much tension there. It is also really sad to watch her parents fight so much, and for her dad to be so angry and abusive. 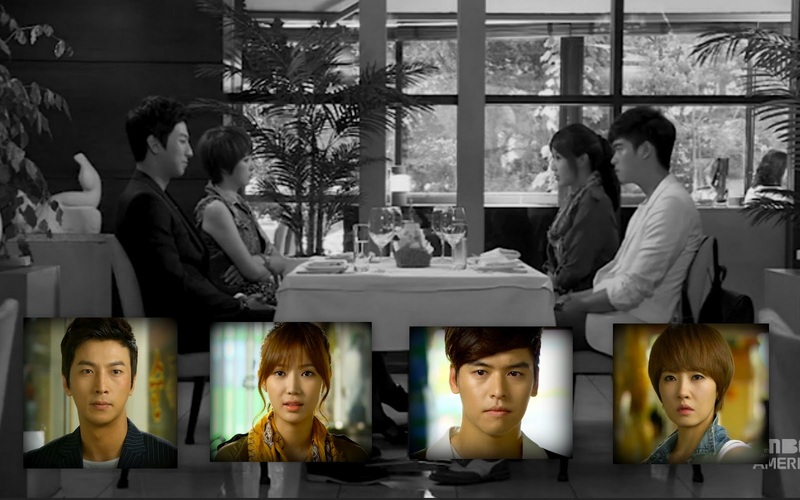 (I saw Yoon Joo Sang in Big episode 10 and I thought, he has a cool voice, but man he is so angry in I Do, I Do). I also love that I am feeling the chemistry a lot more between Ji An and Tae Kang. Ah, I just love how he treats her - he is not being a jerk! Hallelujah when the male lead is not being jerkish! And she is thawing up - her smile was so sweet when she realized what's he been listening to. Oh so cute! I also love how she's been talking to the baby - and even asks her (or him) what to do about her dad. She's even thinking about forfeiting being president. Interesting. Why so evil Lady Jang? Why can't Ji An be pregnant, and have a baby, and work? Why not? Um...Na Ri, why don't you just give him his sneakers back? He's not exactly rolling in the dough, and you are going to keep his shoes. That's cruel, and weird. 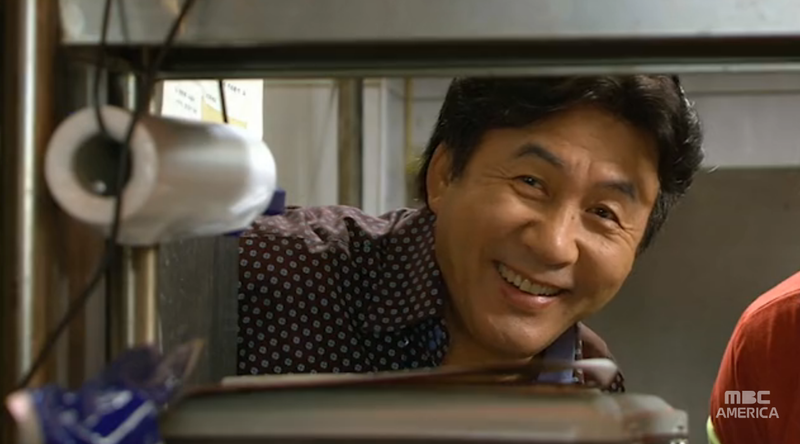 And of course - goofball Tae Kang, we love him, don't we? Okay, now that that is out of my system - I ♥ Lee Jang Woo so much! He is adorable! And I am glad that finally we are getting somewhere with the OTP - isn't it interesting that the second male lead is more of a jerk than the main male lead? And now to the hands. 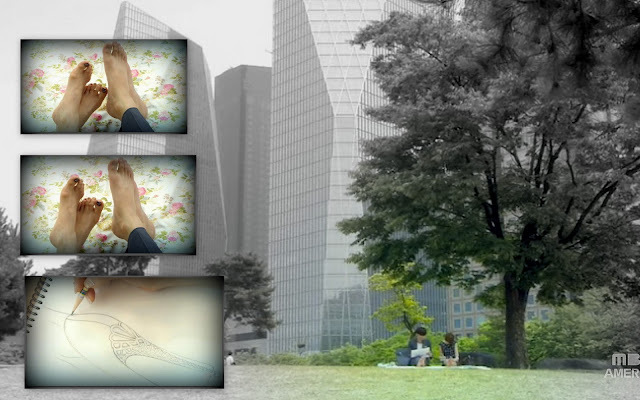 It might seem weird to use the theme of hands for this post about a drama involving shoes (oh so many beautiful shoes). Episodes 9 and 10 were replete with images of hands, and they told some interesting stories. Hands can be tiny, and small, but say so much. Hands can hold gently, and encompass so much tenderness and feeling. Hands can cradle precious things. They can also change diapers (ineptly in some cases). Hands can add to misunderstandings. Hands can make gifts, give gifts, and demand gifts. Hands can open doors, they can also hesitate to open them. Hands can be rough, and abusive. Hands can hurt and cause harm. Hands can try and hold people back and try to control them. Hands can grip steering wheels tightly as one tries to hold onto to overflowing emotions. Hands can put on shoes for other people (even if this slipper doesn't fit princess). Hands can design shoes and make shoes. Hands can cook food and serve it with love. Hands and arms can embrace the ones we love. Hands can hold juice cups for people. Hands can carry things for people. Hands can fend off things that might hurt, and protect the people they care about most. Hands (and arms) can carry people and hold on to them. One thing is that Tae Kang's hands are always tender and gentle with Ji An, always. It is actually quite beautiful to watch. He is so tender with her, not patronizing like the doc, but caring and tender and careful. And he is always thinking about her, and about the baby - and he acts on it - even if it means him getting into trouble. Hands can hold happy discoveries. Hands can pull back people we love. Hands can cradle heads tenderly and lovingly. Basically - hands were a big presence in these episodes. And pretty much you deserve a prize for making your way to the end of this absurdly long post. What can I say, I took way too many screen shots and got rather carried away. Oh I do love Lee Jang Woo, I Do. 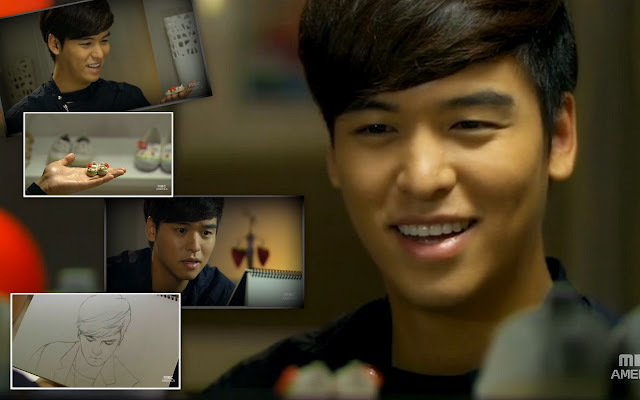 I am always astounded by the range of expression Lee Jang Woo has - I luff it! And I think that is more than enough for now.